My brother, who lives in Grahamstown, is looking into a business venture for which he needs to divide Pretoria into 2, 3, 4 or 5 (or however many) sections that will cut down travel time to 15 or 20 minutes max., and has asked me to help by suggesting zones into which Pretoria could be divided. Although I am a resident of Pretoria, I do not travel a lot and, therefore, do not really know how long it takes to travel in and around the area. All I know is that it takes me about 25 minutes to travel from Queenswood, where I live, to the city centre, where I work. Would you be able to make suggestions as to how you would divide Pretoria and the surrounding suburbs to something like: Pretoria NE, Pretoria NW, Pretoria SE, Pretoria SW and Pretoria Central, or something like that? I would really appreciate your (rather urgent) assistance with this. I hope I get your question pretty well Kirsten. Living in Queenswood, you are pretty much in the centre. You will always take longer than 30 minutes to travel from any end to the centre of the city during peak traffic. Whilst it takes about 15 minutes on weekends. Hope this is still useful for your brother. I can’t be accurate. I just use my laymen knowledge. Thanks for writing about Pretoria Travel Time. I like that you make this idea to ask for the travel time if you really don't know about it. top custom essayz is also the best to deliver the best essays to the students. Join in and write your own page! It's easy to do. How? 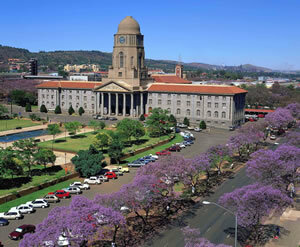 Simply click here to return to Living in Pretoria Questions.